The Cloud. Made clear for Canadian legal professionals. When 99.999% uptime is the expectation, the CBA's newest Preferred Vendor is here to help you get there. Stakeholders and users of most organizations expect availability of data and systems no matter what. The challenge is meeting those expectations. Now CBA, together with Stage2Data has a solution. Stage2Data, helping CBA members get clear on Disaster Recovery as a Service (DRaaS), Secure Cloud Backup and Cloud Hosting. 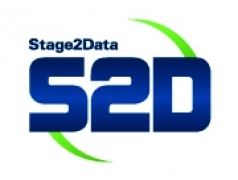 Stage2Data is Canada’s award-winning Cloud Solutions Provider. We are 100% Canadian owned and operated with data centers residing exclusively in the country. Our sales team, professional services and support teams are all located in our head office in Oakville, Ontario. As a preferred vendor of the CBA we deliver customized solutions tailored for the legal industry including Disaster Recovery as a Service (DRaaS), Infrastructure as a Service (IaaS), Secured Cloud Backup as well as Archiving. All Stage2Data solutions meet or exceed industry compliance regulations at exclusive CBA member pricing. We're here to answer your questions. Call us at 1.855.430.0866 x 3355 and talk directly to one of our team members who specializes in working with CBA members.